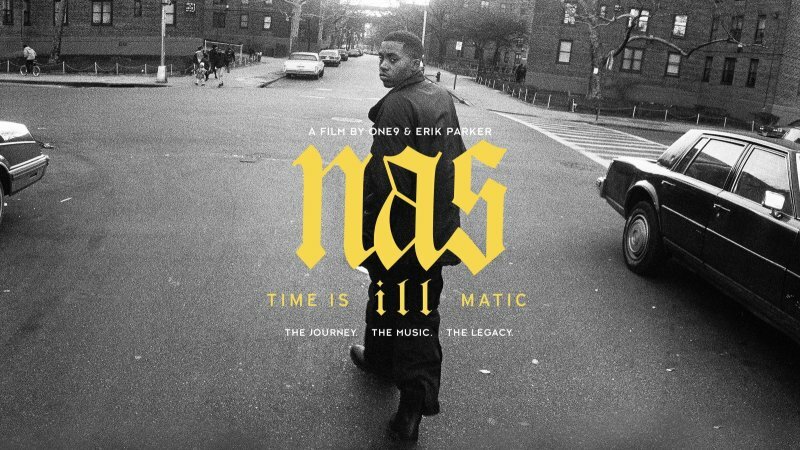 Time is Illmatic, a documentary charting US rapper Nas’ rise to fame and the massive influence of his classic album Illmatic, is released on DVD today and it’s well worth picking up, even if you aren’t a rap fan. Something about hip-hop makes it ripe for documenting on film. The creative process, inspired as much by society and politics as music, is unique and the characters are even more so. Take Time is Illmatic, for example. The film explores how Nas’ upbringing in a rough part of New York and his musical influences created the perfect storm for Illmatic to emerge. It’s inspiring, touching and quite sad too. Here are 5 more essential rap documentaries. Welcome to Death Row charts the rise and fall of Death Row Records, the legendary label that played host to Tupac, Snoop Dogg and Dr. Dre (among many others). The story of the label is well-told, but it’s still remarkable to see it play out on screen; allegedly set up after Suge Knight intimidated Vanilla Ice into signing over the rights to Ice Ice Baby, Death Row experiences huge success before a nasty undercurrent of corruption and wrongdoing consumes the label. Welcome to Death Row is a remarkable story of a unique, and often tragic, time in the music industry, when hip-hop was as much about rivalries and turf wars as it was the music. Rock the Bells is one of the biggest hip-hop tours in the US, despite sounding like a low-budget Christmas musical. This documentary focuses on the 2004 edition of the tour, when promoter Chang Weisberg desperately attempted to reunite the Wu-Tang Clan for one last performance. It all works out in the end, fortunately, although it’s incredible to see just how much hard work went into getting the group together. The infamous ODB in particular provides a lot of bother for poor Chang, especially when it looks as if he won’t show up for the performance after all. Fortunately, he does. It was his last performance before his sad death 4 months later, which ends up making Rock the Bells as poignant as it is entertaining. What would rap be without a bit of beef? There’s nothing like a good diss, although – as history has proven – a seemingly innocent feud can occasionally have tragic consequences. Beef examines some of the biggest rivalries in the rap game, including KRS-One vs. MC Shan, Jay-Z vs. Nas and, of course, 2Pac vs. The Notorious B.I.G., with interviews from big players including Snoop Dogg, Ice-T and Jay-Z. While hip-hop’s various feuds and rivalries are easily the ugliest part of the genre, it seems that we can’t get enough: Beef has already spawned 2 sequels and a TV show! If Beef’s focus on the ugly side of hip-hop leaves you feeling down about the genre, then Something From Nothing is the perfect antidote. Directed by Ice-T, Something from Nothing focuses on the art of writing and performing verses, delving deep into the creative process behind hip-hop. Insights come from a who’s-who of influential rappers, including Nas, Kanye West, Rakim, Redman, Eminem, Common, Immortal Technique and Snoop Dogg. An absolute must for any fan of hip-hop! Fade to Black follows Jay-Z as he embarks on his final performance at Madison Square Garden before his retirement in…erm, 2004. His retirement lasted all of a year, but Fade to Black still provides an excellent insight into the life and mind of one of the most popular rappers of all as he prepares to bring the curtain down on his career. The concert bits are still pretty good too. Share your hip-hop recommendations with us in the comments! And if you’ve got any unwanted hip-hop albums lying around, sell your CDs with musicMagpie. It’s really easy – just click here to start selling.